The Blackberry is a handheld wireless Personal Data Assistant (PDA) and communication device. 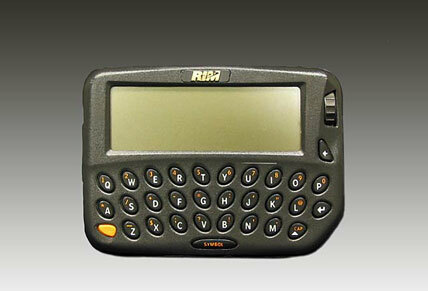 It has a thumb keyboard and a wheel for navigation, as opposed to using a stylus like its competitors. This unit was owned by a law firm partner who arrived at the World Trade Center on September 11, 2001, just minutes after the first tower was hit. Using this Blackberry, he stayed in constant communication with his staff all day until he had located everyone.